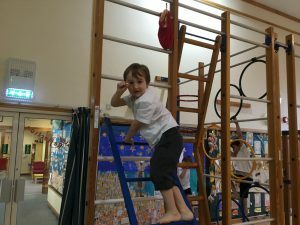 Jack’s trip up the beanstalk! 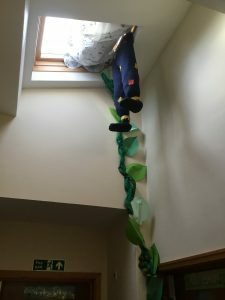 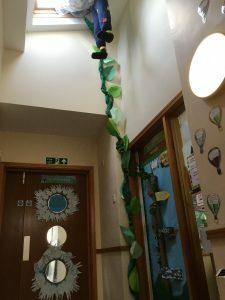 On Friday we had a giant surprise in year one…a huge beanstalk had grown up to the sky and two large feet were dangling down above us! 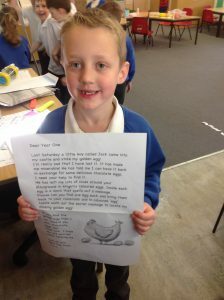 We then received a letter from Jack who recounted his trip up the beanstalk to the castle! 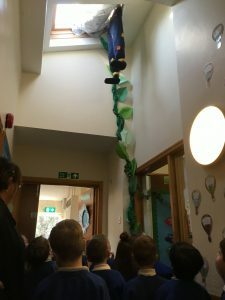 He told us how much he enjoyed climbing the beanstalk and told us that we should try too! 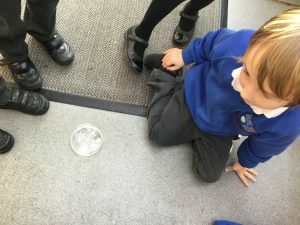 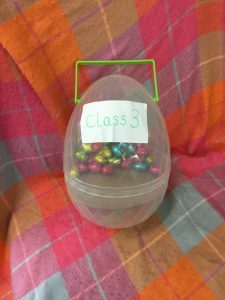 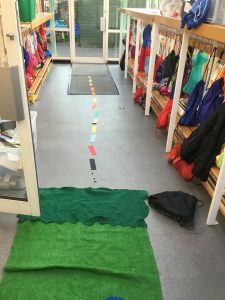 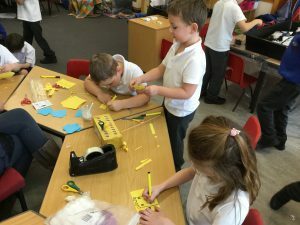 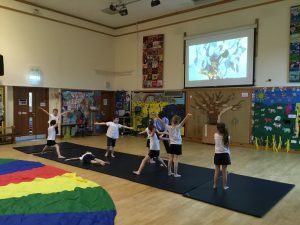 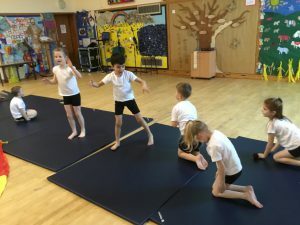 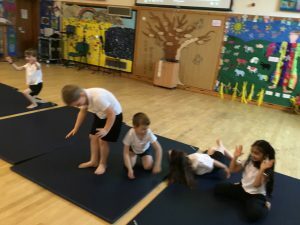 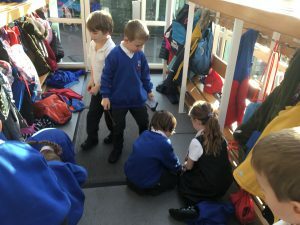 We thought about how we could do this and decided we needed to use our imaginations…we then went into the hall and ate magic jelly beans…the beans turned us into beanstalks and we created a short dance movement to show how the beanstalk would grow. 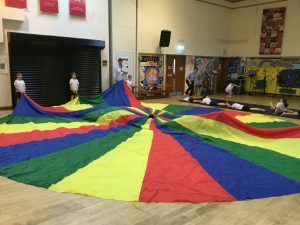 We then moved under the parachute and pretended it was the the thick, dark leaves of the beanstalk. 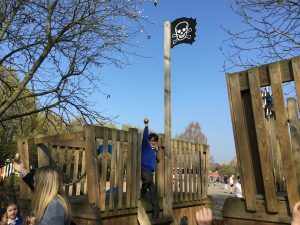 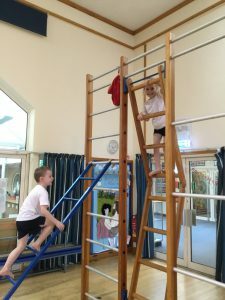 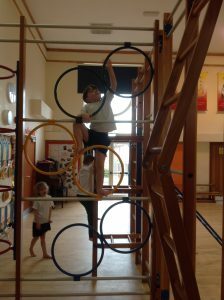 We thought about how Jack might have pushed his way through to reach the top. 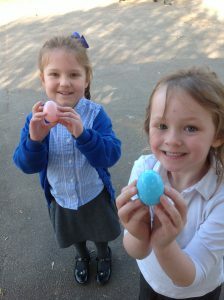 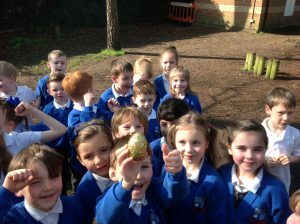 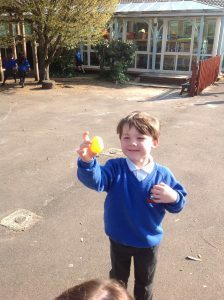 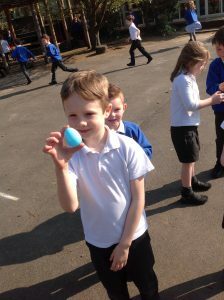 After that we climbed the ladder to reach the castle and stole the giant’s golden hen and the golden chocolate eggs! 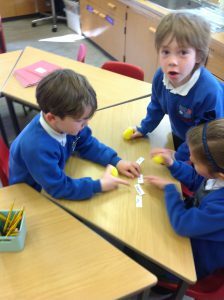 We can’t wait to find out more about Jack’s recount in our literacy lessons. 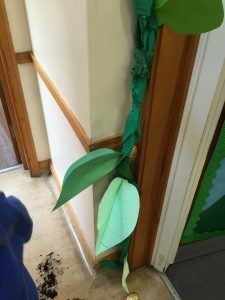 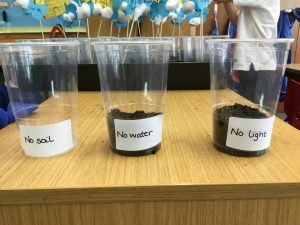 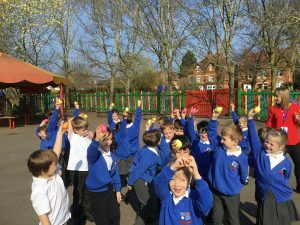 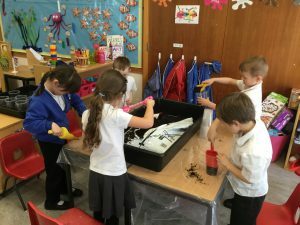 In year one we are learning about plants. 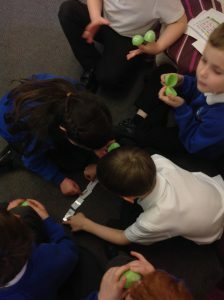 We have talked about what plants need to grow and have devised an experiment to help us find this out. 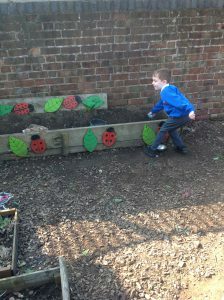 Today we planted our own seeds and look forward to watching our beanstalks grow over the coming weeks! 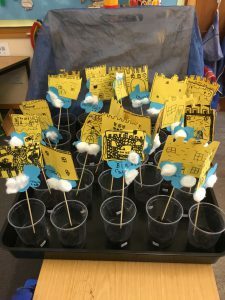 We even made our own castles in the sky and hope that our beanstalks will reach them! 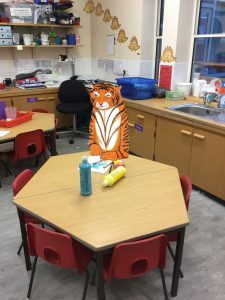 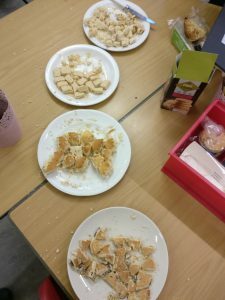 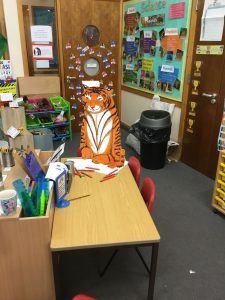 The tiger who came to school! 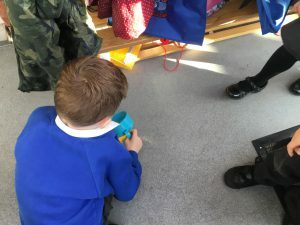 Mrs Arnold told the children that when she came in to school this morning the classroom was very untidy. 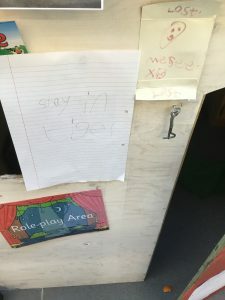 She asked the office staff to check the CCTV cameras to see who had made all of the mess. 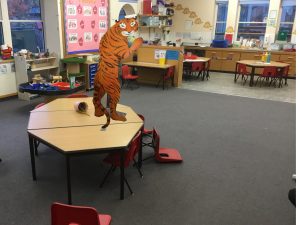 The children were very shocked to see that the tiger had visited our classrooms! 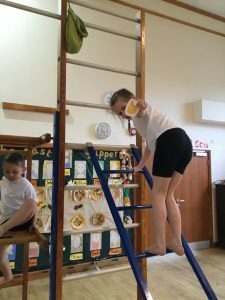 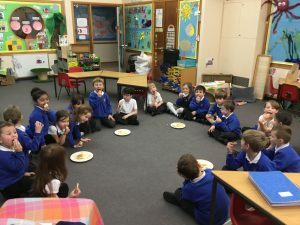 We talked about the different things he had been doing such as jumping on the tables, painting with all of the paints and eating all of the pears! 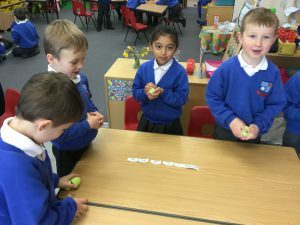 We then wrote sentences using the -ing suffix to show what he had been up to! 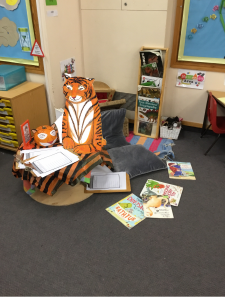 The children then spent the rest of the day looking out for the tiger and investigating paw prints and scratch marks that they had found! 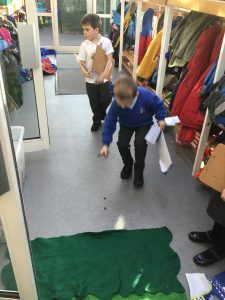 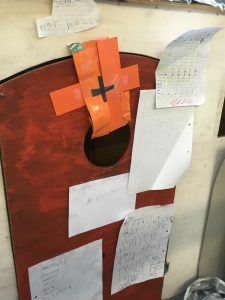 This afternoon they wrote their own signs and have hoped to entice him into school again using a trail of raisins and arrows marking the route! 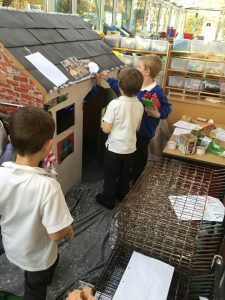 Great team work, problem solving and independent writing skills Class 3! 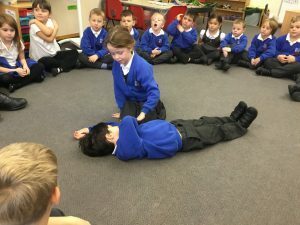 Today the children in year one received First Aid training. 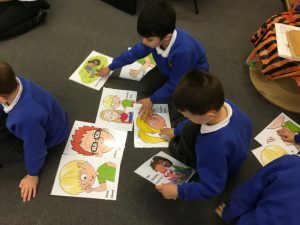 We talked abut the difference between needing first aid and hospital treatment and sorted a range of pictures for each type. 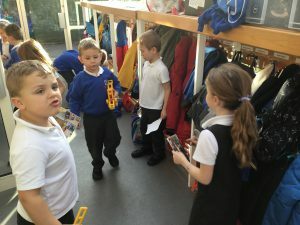 We then talked about what we would do in an emergency and what number we should phone. 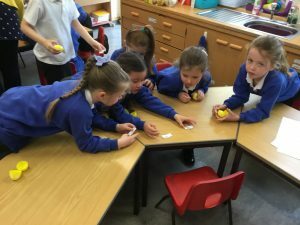 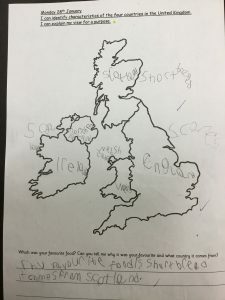 The children were aware they needed to call ‘999’. 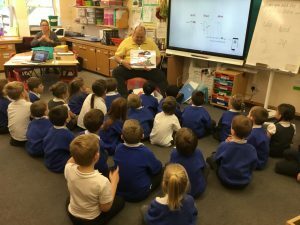 Our trainer Neil then told us the information we need to give to the operator in an emergency such as our name, address and phone number. 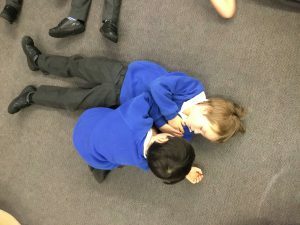 The children were shown how to put someone in the recovery position and then spent some time practising this with a partner. 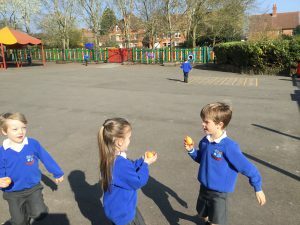 We had fun learning this important life skill!